Passengers, as well as meeters and greeters can find current information on flight arrivals here. Plan your journey from or to Dortmund - you can find the appropriate direct flight via the Flight Schedule Search. Whether long-term parking or brief drop offs - you can find all the relevant information on parking facilities here. Arriving at the airport reliably: with the information on travelling to and from the airport by car. Be aware of the safety regulations before you travel. Read important information about your luggage here. Whether in Dortmund or anywhere in Europe - book your inexpensive hotel here. You can find your way around the airport with ease with the overview of our services. Experience arrival and departure first hand. Observe the activities on the apron. 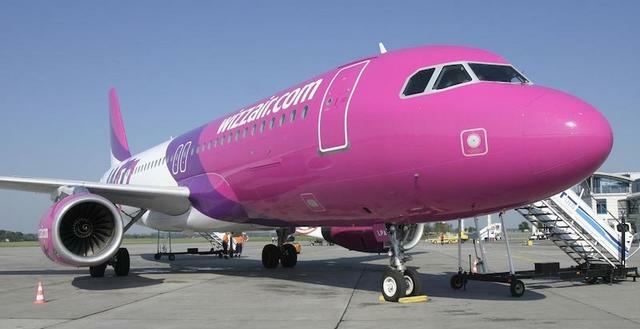 The Hungarian airline Wizz Air, the biggest customer at Dortmund Airport, will start offering a direct connection from Dortmund to Palanga in Lithuania on 21 April 2019. Travellers will have the opportunity to travel by plane from Dortmund airport to the attractive seaside tourist resort on the Baltic Sea twice a week. Palanga, a city of about 20,000 inhabitants, has made a name for itself as a popular spa and holiday resort. Once there, tourists can expect a large selection of hotels, campsites and a long beach promenade with pier. Numerous restaurants, cafes and discos enliven the holiday destination, which is otherwise known for its white sandy beaches, dunes and clean air. Excursions to the Curonian Spit with its unique landscape are easily possible from here. There is a ferry service from nearby Klaipeda port between the Lithuanian mainland and Smiltyne, the district located on the Curonian Spit. In addition to the ferry lines to the natural Lithuanian paradise, there is a wide range of ship connections to Scandinavia. If you would like to use the flight connection to Palanga, you can book flight tickets now via the Wizz Air website.